King Abdullah of Saudi Arabia is suffering from pneumonia and has been breathing with the aid of a tube, Saudi officials have said. The King, who is said to be aged about 90, was admitted to hospital on December 31 for medical checks. 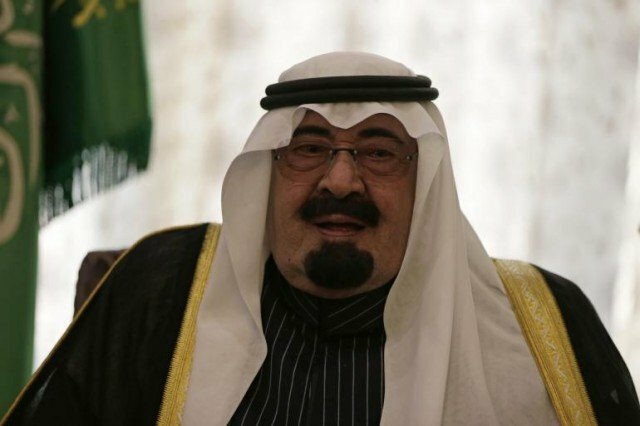 King Abdullah bin Abdulaziz, who came to the throne in 2005, has suffered frequent bouts of ill health in recent years. His age and condition has led to increasing focus on the issue of the Saudi royal succession. Crown Prince Salman, who is in his late 70s, is next in line to succeed the king, though questions remain over who will follow. The crown has passed between the sons of Saudi Arabia’s founding father Ibn Saud, but few are still alive. Last year, King Abdullah took the unprecedented step of appointing a deputy crown prince, his younger half-brother Prince Muqrin, to try to ensure a smooth succession.